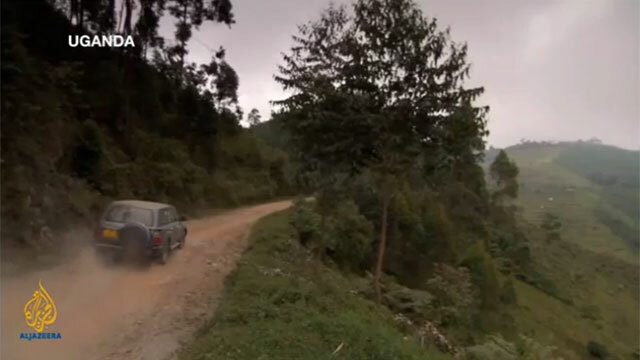 Uganda’s pioneering efforts to eliminate river blindness, in partnership with The Carter Center, are featured in an eight-part documentary series, “Lifelines: The Quest for Global Health,” slated to air outside the United States on Al Jazeera English starting in April 2014. The series also will highlight the Center’s Guinea Worm Eradication Program in South Sudan and Trachoma Control Program in Ethiopia. 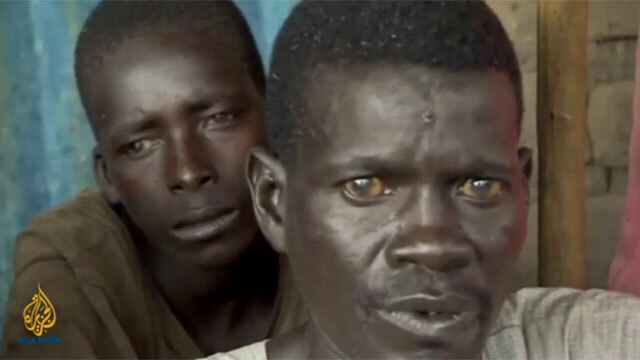 Below are some Web extras and teasers featuring Carter Center and Uganda Ministry of Health experts as they seek to overturn decades of scientific belief and demonstrate river blindness can be eliminated in Africa. For more information about the "Lifelines" series visit www.aljazeera.com/lifelines. In this short preview, meet health experts in Uganda who use innovative methods of medicine distribution to treat river blindness, including training family networks and members of communities to spread the word. Watch and read more web extras below. Republished with permission from Al Jazeera English. In his bid to fight river blindness, local woodcutter Sebastian Adritia takes it upon himself to alert others about drug distribution. 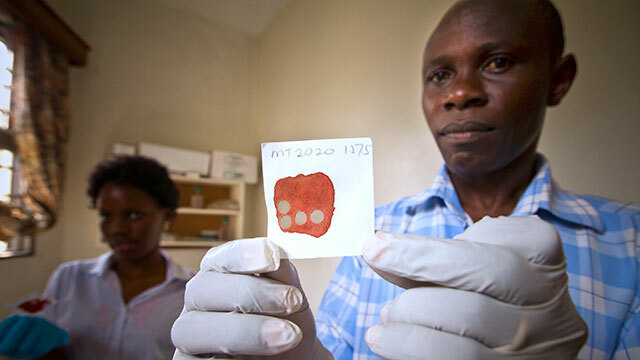 Parasitologist David Oguttu takes us inside a Ministry of Health lab in Kampala that is proving Uganda’s river blindness elimination strategy is working to wipe out the debilitating disease nationwide. In addition to using innovative drug distribution techniques, the Uganda Ministry of Health is neutralizing the breeding grounds of the black flies that spread river blindness as part of a multi-pronged strategy to get rid of the disease forever. Ephraim Tukesiga forces himself to get bitten by flies that transmit river blindness — all in the name of science. The vector control officer traps flies by exposing his legs to their painful bite. He then sets up a field laboratory to test whether the flies he has caught carry the parasite that causes the disease. Tukesiga, who works alongside The Carter Center with the National Onchocerciasis Control Programme, says that examining a small skin sample of a river blindness sufferer can reveal around 250 microfilaria, the pre-larval-stage parasitic worms that infect the body, in just four milligrams of skin. "So you can imagine the itching when someone says he has sleepless nights," he says. Tukesiga brings traditional knowledge and cutting-edge science to treating river blindness and is one of many health heroes of "Lifelines: The Quest for Global Health." 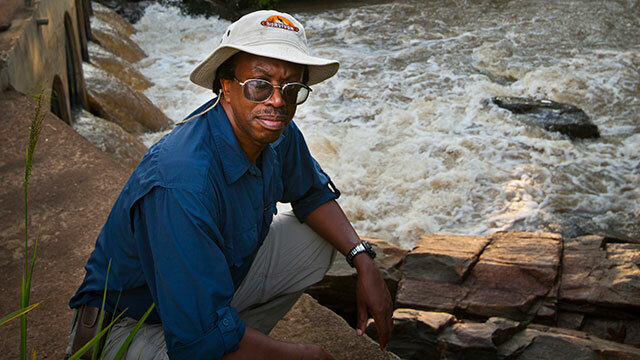 David Oguttu, a parasitologist with the ministry of health in Uganda, is a champion for the fight against river blindness, or onchocerciasis, in his community. "It is really devastating when you see an oncho patient [who is] suffering. It's really bad," he says. Oguttu's bachelor's degree in biomedical lab technology underpins his day-to-day work at a scientific laboratory in Kampala, where, as a senior lab technician, he is actively involved in the surveillance, detection, and ultimate elimination of the disease. 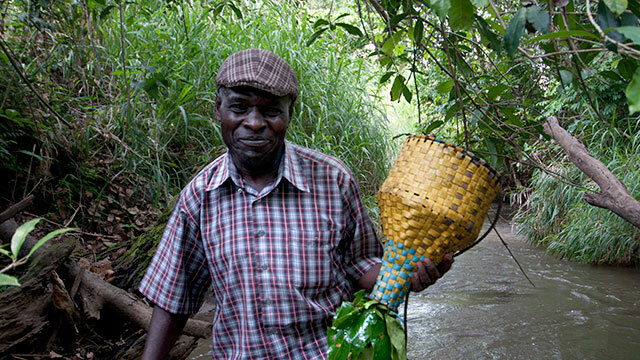 Oguttu grew up in Uganda’s Busia district which is not endemic for river blindness. After he witnessed people in his village suffering and dying from another parasitic disease, schistosomiasis, he decided to pursue his interest in biomedical science in order to help the community through public health work. "This is one of the first labs for this kind of [river blindness elimination] technique in Africa," Oguttu says about the work he feels "grateful" to be able to do. "I enjoy lab work," he says, adding that morbidity levels have decreased in the years since the lab was set up in 2007, and all affected communities are now being treated for the disease. "Flies are collected and sent here. We extract the DNA. We want to see if any of the flies are carrying a parasite." Oguttu says. Where they cannot detect any infection in the field, they suspect that they have eliminated the disease. Screening children is also a key part of the detection and elimination process, he says. "We want to see whether these children have ever been infected by the worm which causes river blindness so we take blood spots and screen them." "And if we find no exposure in the children below 10 years, and we don't find any infection in the flies, then we are happy. We say yes, elimination is being achieved. That is a joy," he adds. "There is nothing greater in the community you can do than eliminating diseases which are haunting them." Oguttu is one of many health heroes on "Lifelines: The Quest for Global Health" which will air on Al Jazeera in 2014. Dr. Moses Katabarwa has dedicated himself to eliminating river blindness, playing a key role in community-based initiatives in Uganda. But had the course of history been different, his career may not have been the same. Now a senior epidemiologist at The Carter Center in Atlanta, Katabarwa had initially hoped to become a medical doctor as a young man growing up in Uganda. Everything changed when fate intervened and the government was overthrown by Idi Amin in 1971. The ensuing civil war and some personal struggles led Katabarwa to work on the neglected disease. "My first experience with river blindness was in western Uganda where I found a community totally devastated by this disease," Katabarwa told Al Jazeera's "Lifelines." "These guys couldn't do much for themselves and so that gave me a cause to fight for," he said. Katabarwa took the "Lifelines" team to the West Nile region of Uganda where he tries to encourage use of Mectizan®, a river blindness treatment drug that has to be administered twice a year to eliminate the disease. How did he plan to do it? "My idea was that we go and mobilize these people, educate them, and provide them the medicines. They treat themselves and they report back," he said. This community-based solution was not initially well received by health authorities. But to circumvent any roadblocks to getting the treatment across, Katabarwa decided to test both the government's system and his own, and presented the findings thereafter. "The more we promoted the family-based distribution, the higher the treatment coverage became," he said. Even though Katabarwa never became a medical doctor, his work with communities has changed the face of public health in Uganda. "When it comes to the work I'm doing, I feel that I've touched many lives, touched people who have never been reached," he said. "And so that gives me the inner satisfaction. Emotionally, I am at home. I am at peace." 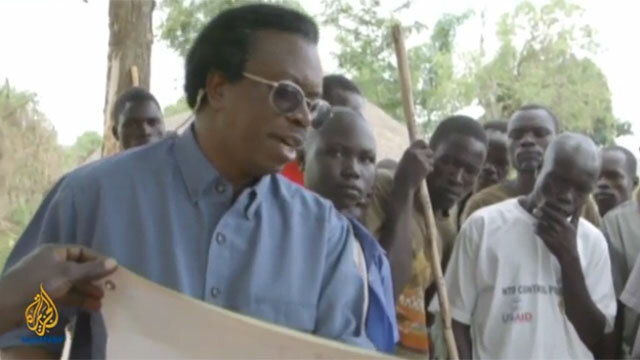 Katabarwa is one of many health heroes on "Lifelines: The Quest for Global Health" which will air on Al Jazeera in 2014.